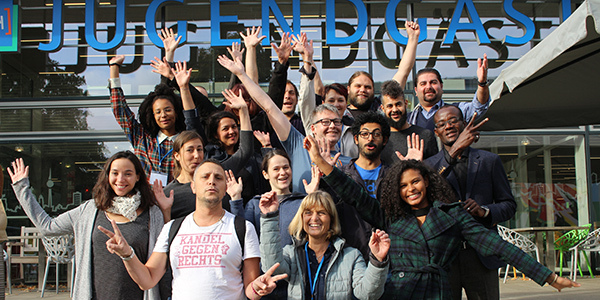 On September 22 and 23, 2018, the kick-off meeting of the pilot project Action Fund ViRaL - Strengthening Diversity, Combating Racism, Engaging Locally - took place in the Berlin Stadtmission, bringing together representatives of the 10 funded projects from all over Germany. In addition to the exchange with and between the participants, a debate on racism and empowerment played a central role. Here we report on these two exciting days. "In order to fight racism effectively, it is important to understand what racism is and how it works," says Lucile, project coordinator of the ViRaL Action Fund. 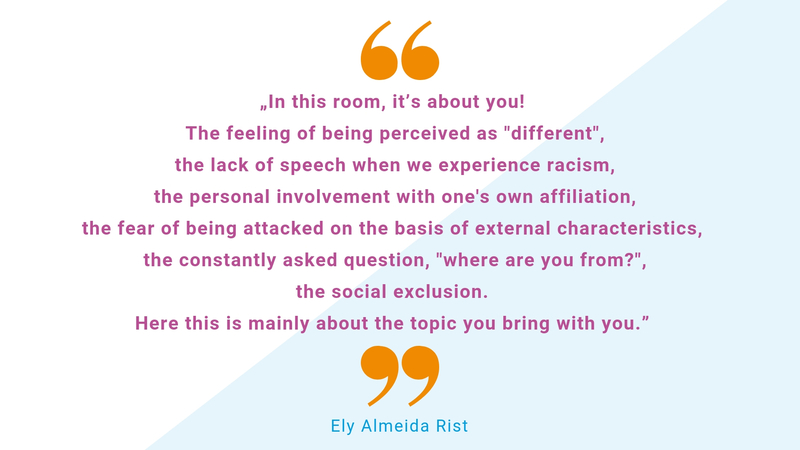 To develop this racism-sensitive understanding, we invited experts to design and run two interactive workshops that started the kick-off meeting on Saturday. Under the title "Diverse Racism - An Introduction", a freelance trainer in the field of whiteness / racism and colonialism criticism, invited participants to take a closer look at the term racism, to consider how racism plays a role in their life, and to reflect on their own position with the help of the privilege test. Coached by Ely Almeida Rist, a two-hour empowerment workshop for Black people and People of Color took place at the same time. This room was about the experiences and considerations that many participants in the kick-off have dealt with due to racism. Praise, comment, advise, get to know each other! After the workshop, the participants expressed a strong desire to continue to deal with racism with experts. Then they presented their projects in the context of the action fund ViRaL. For this exchange, the ViRaL team had designed an interactive role-playing game. The method provided a clear framework for the feedback and allowed participants to receive feedback on their projects from various perspectives. The second day of the kick-off was about shaping the bilateral cooperation between the projects’ teams and the ViRaL team. "We strive to use language that reduces discrimination, recognizes diversity as normal, and on the other hand makes real experiences of discrimination visible. We ask you to help us with this! ", explained Lucile during her presentation on discrimination-sensitive language. As the Action Fund not only provides financial support but also intensive project support in order to increase the willingness and ability of participants to engage in social activities, the ViRaL team collected their ideas and needs for future project support. The participants requested help with funding opportunities, legal advice, communication, and further seminars on racism and intersectionality, as well as data protection and personal security regarding far-right violence. Over the next few months, the ViRaL team will develop a support program with various formats that should meet the needs of the projects and thereby strengthen them.